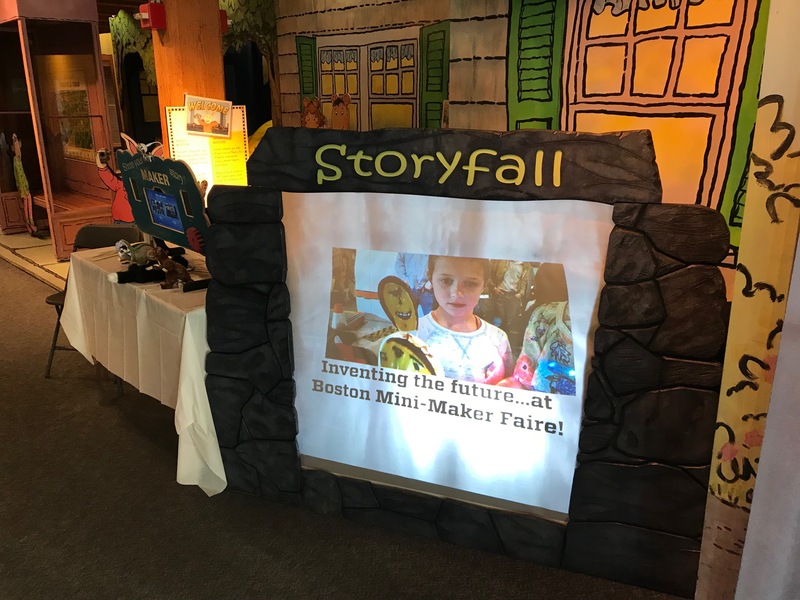 What a great time this weekend setting up our Storykiosk at Boston Mini Maker Faire with 42 Design Fab. The idea: families make puppets together from wooden spoons, and then record their spontaneous puppet shows on Storykiosk, projecting their images on a story waterfall (see images below). I was blown away by the quantity and quality of stories — we ran out of spoons twice due to the popularity of the activity. The main goal throughout the history of our Storykiosk work has been to encourage verbalization of experience (including play) in exhibits. This is based on early work by researchers including Falk, Dierking, Borun and others indicating that the best sign of learning in exhibits is communication about the experience. Over the years, we’ve been adding new layers for sharing that experience, including a cloud-based content management system, workflows for social media sharing, and imaginative media formats for display such as the Story Waterfall, which projects recent storytellers’ images onto a video waterfall. It’s especially rewarding to see the positive play between parent and child when creating the puppet shows. 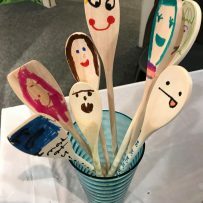 We design the program to encourage multi-generational collaboration, having ready-to-go puppets for parents to use with their child’s handmade spoon puppet. You can see some of the heartwarming results in the videos below. 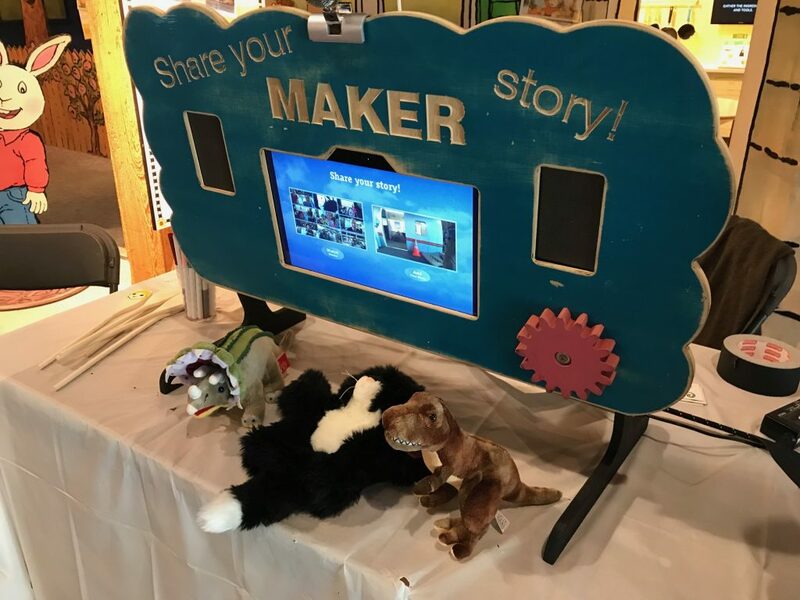 The project this weekend also provides us another prototype moment for our Global Story Swap Project, where we set up installations to share puppet shows between museums in different countries to build connection. Thanks to Vicky Cave in London and Katie Spencer in Durham for their ideas and participation. One additional direction: we started recording stories from the makers at the Faire themselves — with so much creative direction in the maker community, it’s a natural step to record their stories as inspiration for others.